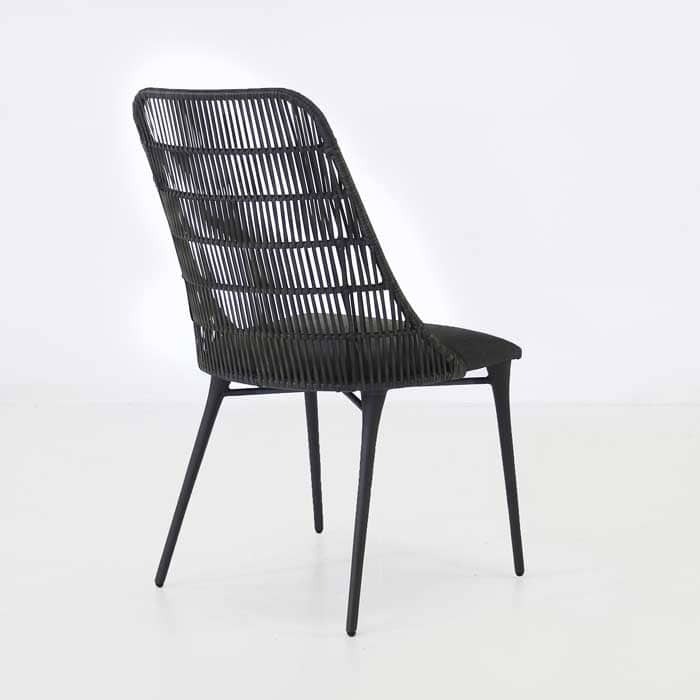 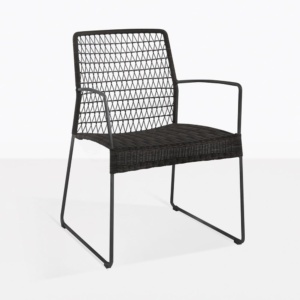 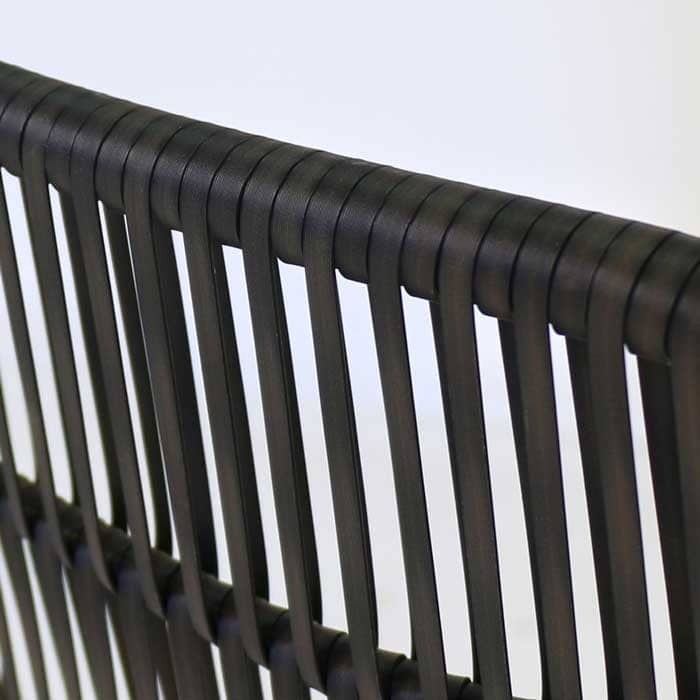 A simple yet elegant outdoor dining chair with a medium dark color profile, courtesy of the beautiful Cocobolo colored synthetic outdoor wicker woven onto the seat and back, over a lightweight powder-coated aluminum frame. 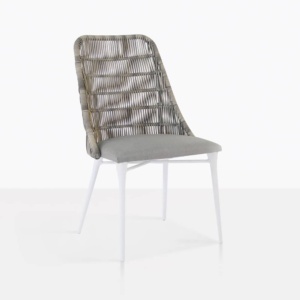 The lightweight overall heft of this dining chair means it’s easy to move and easy to love. 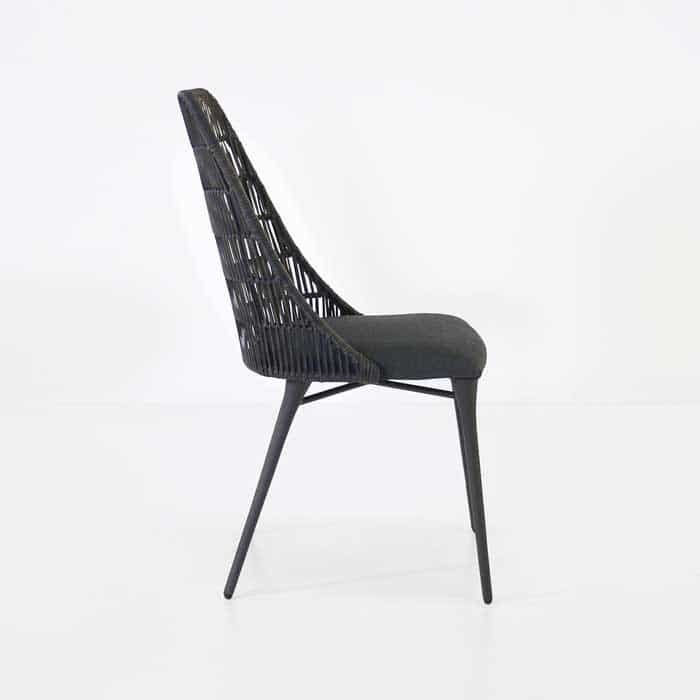 The quality, stability and great looks make this an instant favorite. 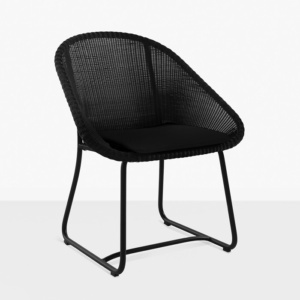 The tight, flat weave of the synthetic wicker offers an elegant feel to any outdoor space. 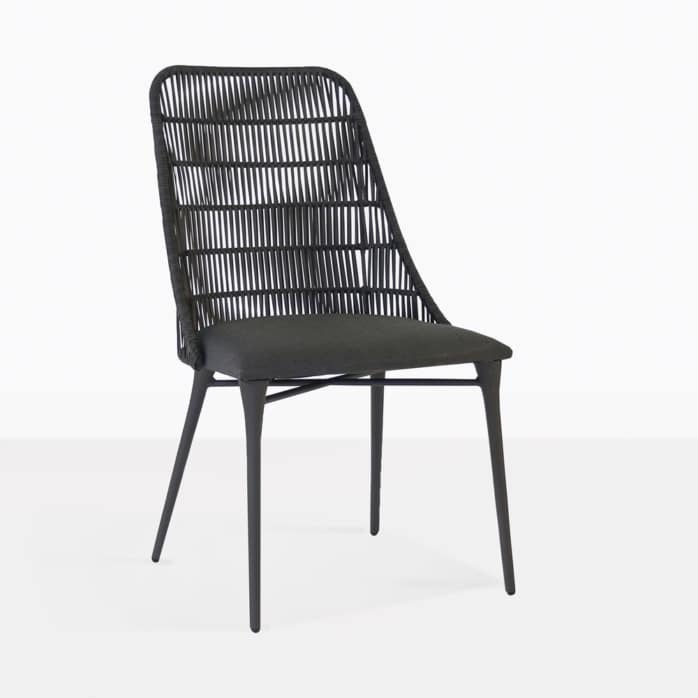 The slim profile and easy maintenance make the Morgan outdoor dining chair a wonderful fit in so many al fresco dining sets.